John Pronovost is the founder and principal of Main Street Financial Group, LLC. John was born and raised in Waterbury, CT. He attended Holy Cross High School and received a Bachelor of Science in Finance from Fairfield University. John is a Registered Representative and Investment Advisor. He holds a Series 7, 24, 63, 65, and 99 license registrations. 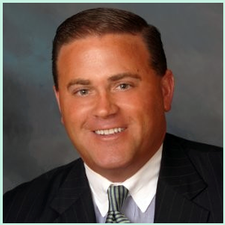 John began his professional career with MassMutual providing investment advice and financial services. In 2008 John moved his practice and clients to Cambridge Investment Research, Inc. Cambridge has been a great fit for Main Street Financial Group as they are on the cutting edge of Broker/Dealer technology and allow for total objectivity due to their independence. John has built a loyal clientele through referrals and his personal one on one attention to each of his clients. John resides in Woodbury, CT with his wife and two children. John has been involved in numerous boards and not-for-profit organizations. He currently serves as a Trustee for the Town of Woodbury and is an active member with the Watertown Rotary Club. He enjoys golf and is a member of the Waterbury Country Club. John is passionate about philanthropy and expresses such by his generous donations to local charities and organizations. John has gained a reputation as a nationally renowned speaker on implementation and maintenance of a successful investment practice. John is available in his office weekdays and evenings to discuss your financial needs. He will also meet at a location convenient for his client, and can offer weekend hours by appointment when necessary.